I used to cook at a Houston shelter for homeless men and women called Casa Juan Diego. The shelter is a project of “The Catholic Worker” movement, and it includes a residence for homeless refugees and immigrants, men with advanced cases of AIDS. One of the men asked me if I would please make him “Huachinango a la Veracruzana” (Red Snapper Veracruz Style) because the dish reminded him of home and he knew he was facing his last days. That was a memorable, graced request that humbled me. I made this dish for him, and it is just one example of how food is memory and love. I’m sharing this recipe for this Father’s Day weekend to honor all fathers who find themselves homeless, refugees, immigrants. It is a celebratory and visually beautiful dish, an example of the Moroccan, Arab influence on Mexican cuisine. There is no cilantro in this recipe but rather flat leaf parsley, reminiscent of the Morrocan “Tagine” this dish resembles. 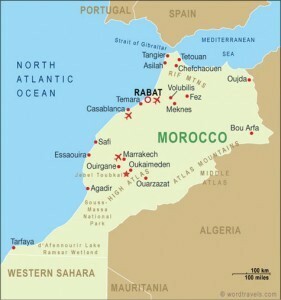 Note that the Mediterranean coast of Morocco resembles the coast of Veracruz. The similarities to Moroccan, Mediterranean, cuisines continues with the delicious addition of onions, black pepper, briny capers and green olives. But then it’s really the main characters that give the dish its identity. Absolutely fresh and sweet Red Snapper from the Gulf of Mexico, ripe tomates (tomatoes) and the chile Jalapeño. I can understand how this dish is a source of memories and gives you a sense of belonging. I love to make it. For Father’s day, it’s an inspired change from steak. 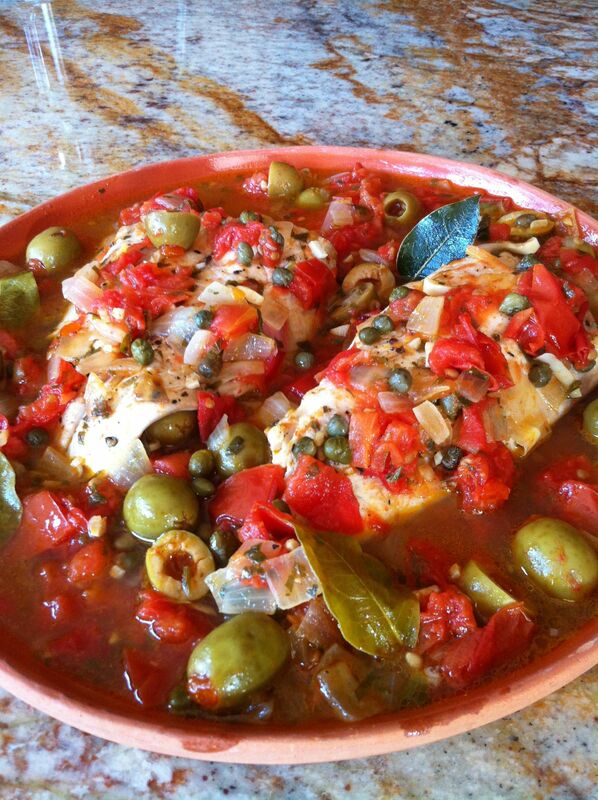 I first saw a recipe for Snapper Veracruz in a local newspaper in the South Bay in the 1970s I believe. The original recipe has morphed over time. Seeing yours inspires me to try your recipe. Wish me luck.